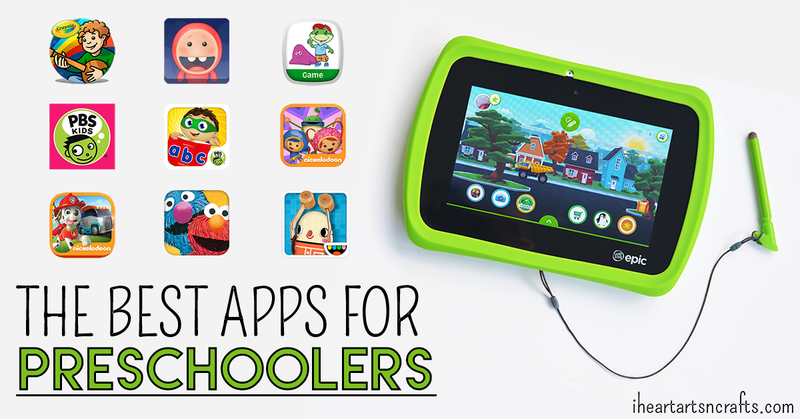 Most tablets for young kids are focused towards learning and learning games. 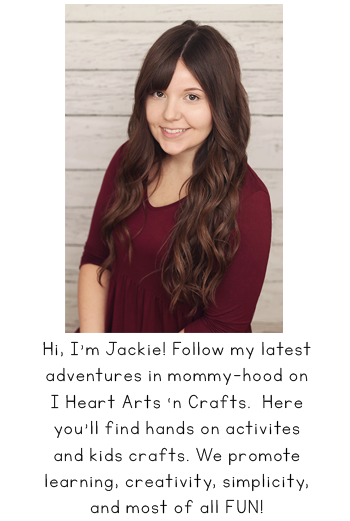 They can help practice learning areas and skills like letter/number/color/shape recognition, writing, reading, creativity, problem solving and more. With a tablet comes lights, music, and interaction that really engage the children making it interesting and a fun way for them to learn. 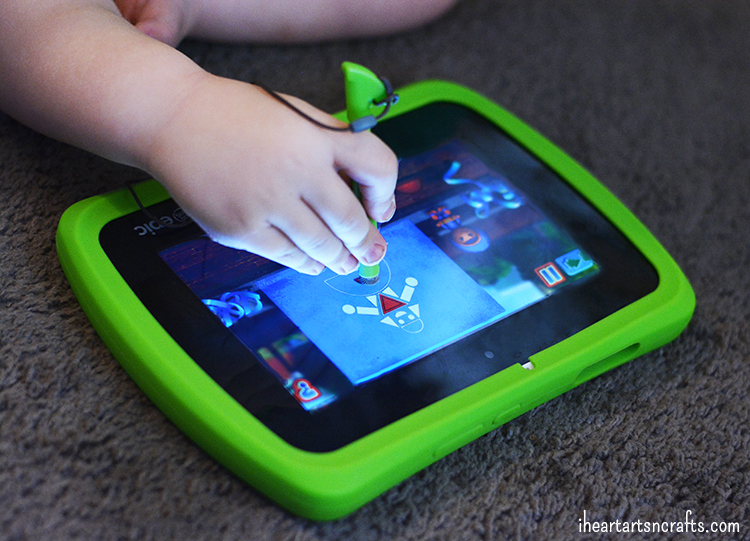 This month we’ve been exploring with LeapFrogs newest one-of-a-kind Android based tablet the LeapFrog Epic. My kids fell in love instantly with the customizable home screen that looks like a small town or city that you can customize by adding your favorite apps, changing from night to day, and adding animated characters to make the scene come to life. It also tracks the weather from where you’re at so when it’s snowing at home it’s also snowing on your home screen! The kids thought that was so neat! But the biggest thing that set’s this apart from LeapFrog’s other educational tablet’s is that this is an Android based operating system so it’s compatible with nearly all the popular apps and games. By using the parental control options you can not only have access to the amazing pre-loaded games and LeapFrog-exclusive content, but you can also add others that you approve from the Amazon app store. So after you get your tablet set up and have had some fun customizing it you’ll want to get started on downloading and playing some apps. I’ve included some of our favorite learning apps that my little preschooler has loved playing they involve number recognition, creativity, curiosity, and a love of reading! 1. Crayola Color, Draw, and Sing – This is my toddlers absolute favorite app to play, with this app you can draw and color with music. Each splash of color causes a new musical instrument to play! They also can learn the names of all the instruments in the orchestra and how they sound. 2. Letter Factory – This game teaches capital and lower case letter identification, how to write them, and phonics in a fun interactive way! The game shows how a letter is made and then the child traces it in the right way or tries again until they get it right. Great for fine motor skills and most of all it’s fun! 3. Paw Patrol: Ready For Action! – This app is great for problem solving as you join Paw Patrol and Ryder on a mission to rescue lost kittens. Kids then have to figure out which pup and tool is best to use for specific jobs. 4. Agnitus -I love this cirriculum based educational app.The app provides a personalized learning experience for your child based on their ability, by automatically adjusting the games according to their level. And I can track my son’s progress with the reports from a weekly email that Agnitus sends to the parents with the child’s report card. There’s a free trial to try out the app with your child to see if you like it! 5. Team Umizoomi: Street Fair Fix-Up – What I love about this app is that it has multiple settings for skills levels. As your child progresses, just raise the difficulty for further game play.It is a great educational game that engages young children, all while teaching them about shapes and patterns. 6. Toca Builders -With this app you can keep building and re-building as much as you like. My kids love to invent pretend play scenarios for the little characters and their surroundings. Paint splatters and splashes, “wooden” hinges creak and the imagination is fully engaged in creativity, planning and play. 7. 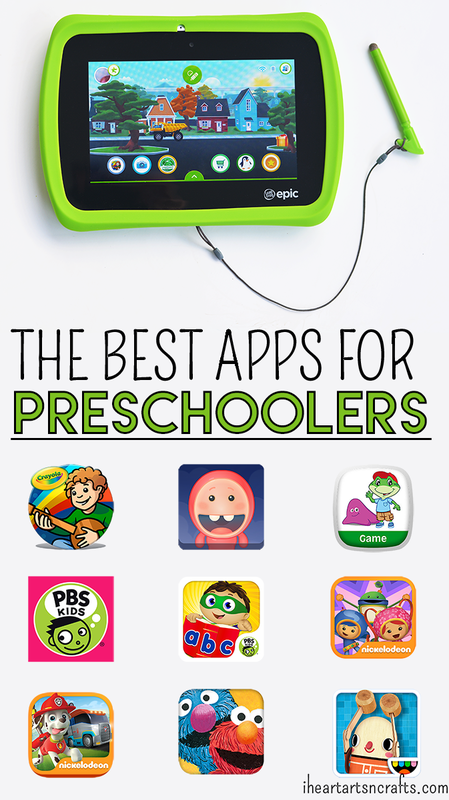 PBS Kids Video – Features over 1,000 child-safe videos from your favorite PBS televises series. We love Sesame Street, Daniel Tiger, and Super Why!. 8. 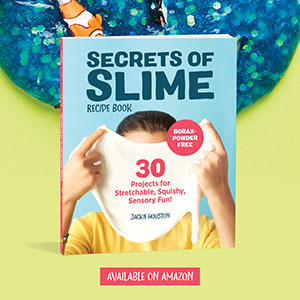 Another Monster at the End of This Book – Now there are a ton of interactive books available that we love but the Sesame street ones are one of the top favorites. This book is a classic that always has the kids laughing! 9. Super Why! ABC Adventures – This app features a comprehensive collection of five interactive literacy games that help build strategies and skills to master the alphabet. While having fun playing with your child’s favorite cartoon characters! Parental Controls so you can manage how much time the kids get on the tablet. The tablet has online access, but the parent controls everything that the child is able to access. The LeapFrog Epic comes with pre-selected, kid-safe content by using the LeapSearch browser but you can also choose additional websites for them to view by accessing your parental controls. The Epic is designed for kids ages 3-9, but it also grows with them. The Epic features Just for Me™ Learning technology which personalizes games up to 10 different ways. Select games automatically adjust the curriculum as your child plays, with progress remembered from game to game to keep children learning. 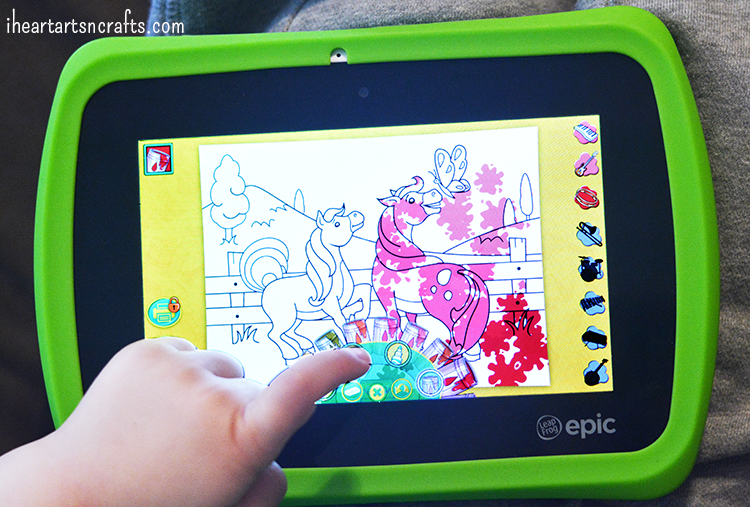 The LeapFrog Epic™ tablet includes: 7” screen, 16GB memory, Wi-Fi, 2MP cameras, stylus and 20+ apps. To learn more about the LeapPad Platinum visit leapfrog.com. You can also check them out on Facebook and Twitter.